"Four o'clock flower" is another name. Scented flowers opening at four in the afternoon. 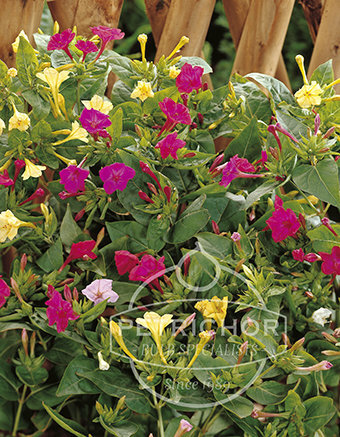 - Mirabilis need shelter and dry conditions over winter.